British Airways has been investing quite a bit in their premium product. 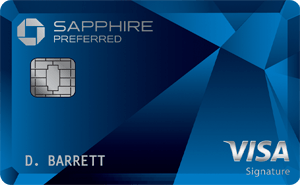 Most notably, they’ve completely overhauled their business class soft product, and I’ve been really impressed. They’ve introduced new bedding and food, and this summer they’ll be introducing a new business class seat on their A350, which is long overdue. Before we get into the news, last year British Airways introduced a new premium economy seat on some of their Gatwick based Boeing 777s. The seats are by no means cutting edge or anything special, though they do feature 50% larger entertainment screens, and six-way adjustable leg, foot, and headrests. Interestingly as they’ve done this, they’ve also greatly increased the number of premium economy seats. 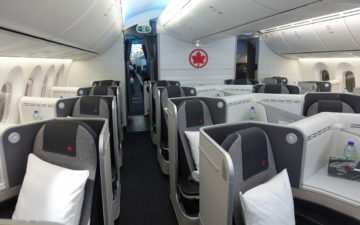 For example, on the 777-200s that have been reconfigured, they’ve gone from 24 to 52 premium economy seats. This seat will also be available on British Airways’ new A350 aircraft, which should arrive in the coming months. Furthermore, other planes should be reconfigured with these premium economy seats as well. 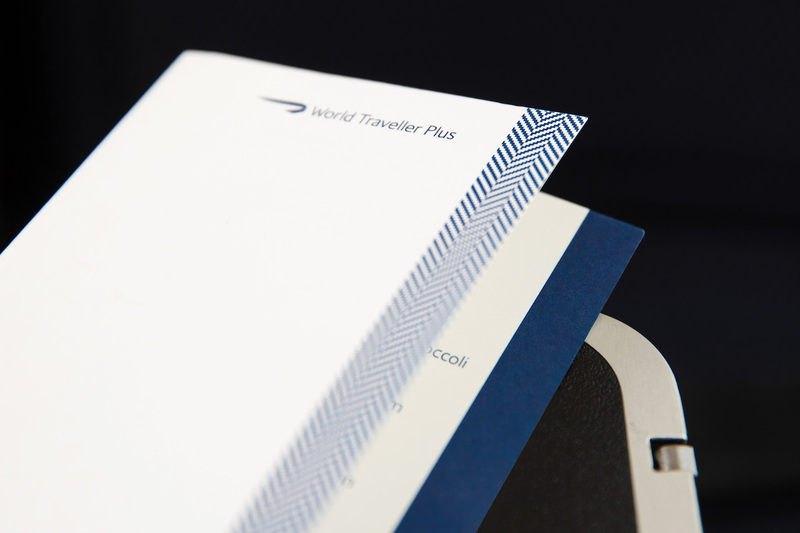 Now British Airways has announced improvements to their premium economy soft product, which they call World Traveller Plus. 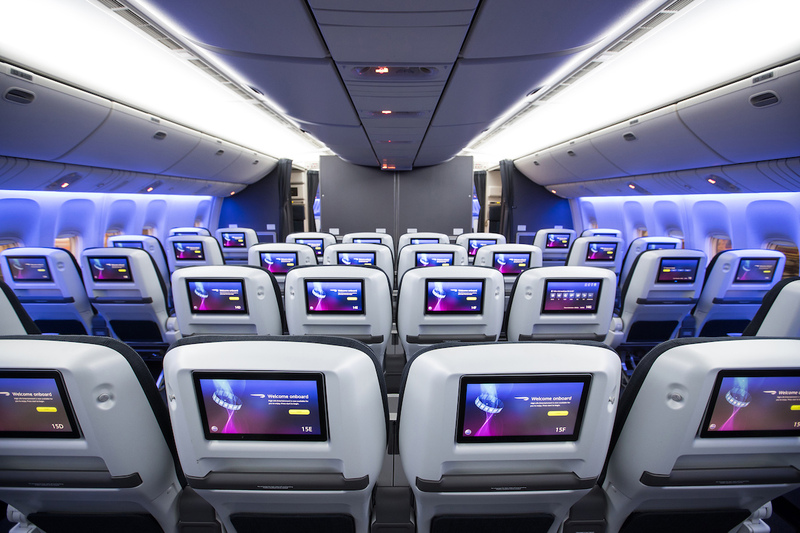 British Airways says that these changes include new amenities, an enhanced service, and an improved dining service. 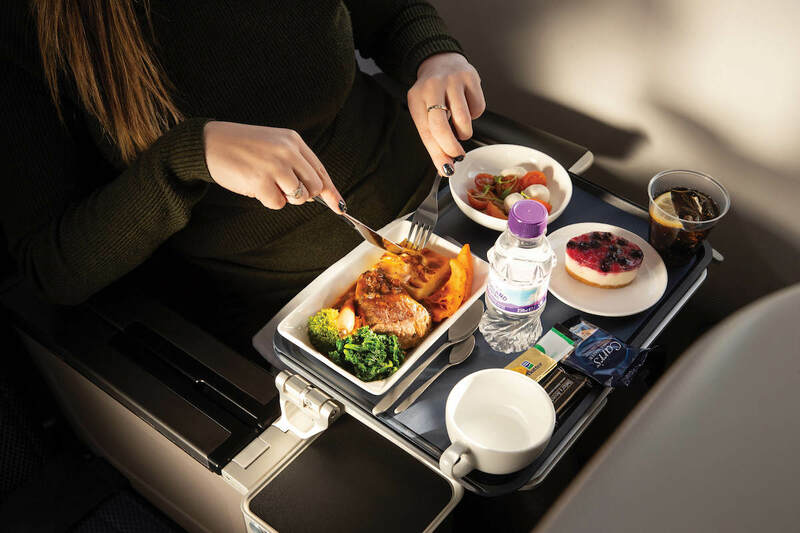 The airline will be rolling out new menus in premium economy as of February 1, 2019, with a third main meal option and a more substantial second meal later in the flight. 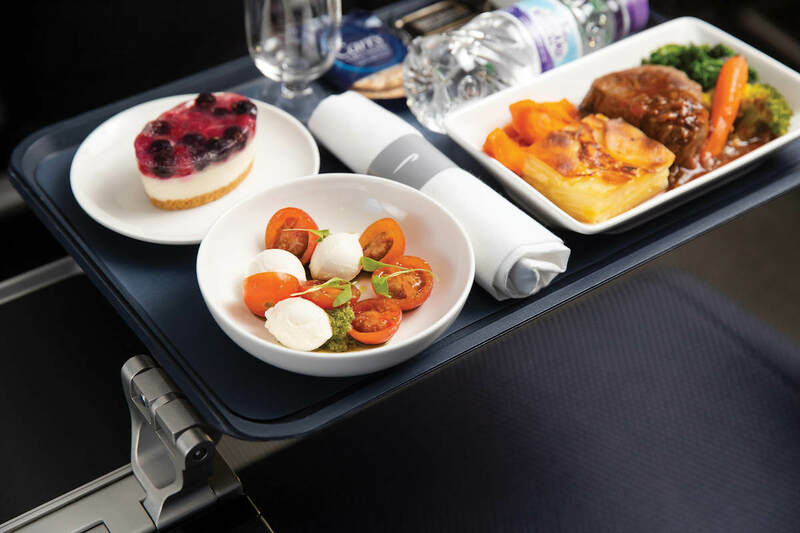 Passengers can pre-order their main course in advance, to make sure they get their first choice. 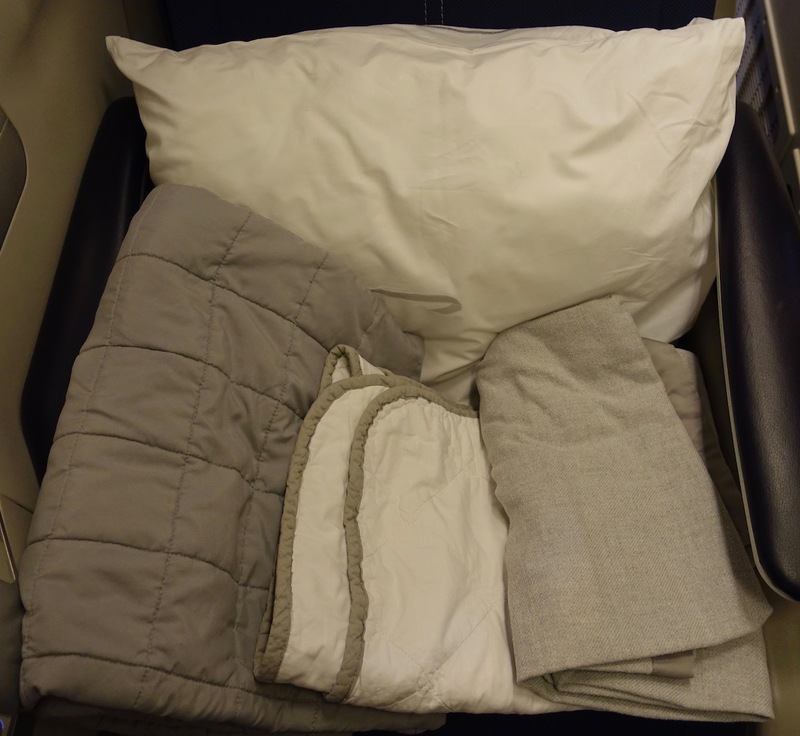 Furthermore, this spring the airline will be introducing new amenity kits, quilts, and pillows in premium economy. 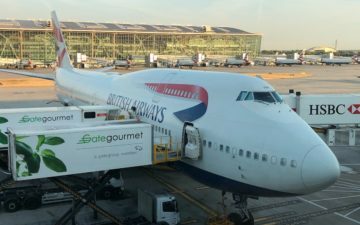 British Airways has nicely been improving their soft product, and in my experience there has indeed been substance behind these changes. While I don’t think the new premium economy seat is that good, the improved catering does look like a significant improvement. Of course it’s easy enough to make food look good for media pictures, though the real test will come when the new food is introduced. Then again, they’ve done a good job with improving food in other cabins, so I expect it will be the case here. 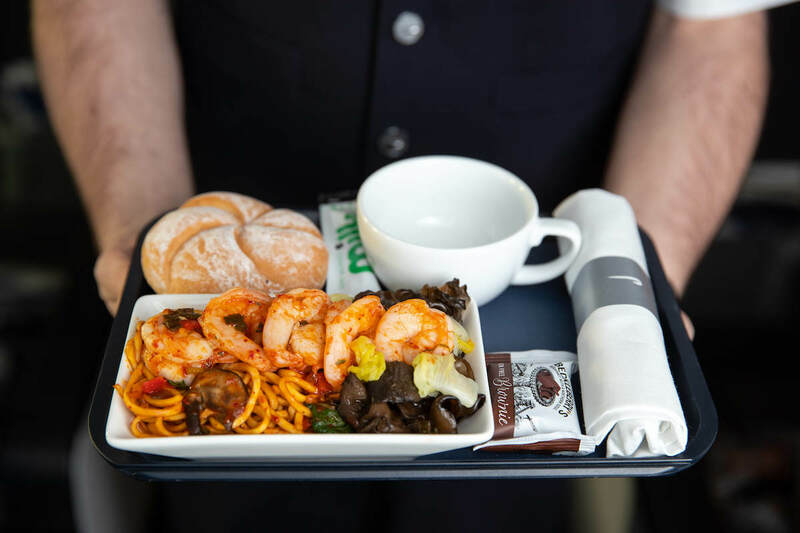 It’s also nice that they’ll be introducing a second hot meal on longhaul flights, rather than the cereal bar breakfasts they’ve been serving in premium economy on some routes. Interesting to see that BA will go from two to three main course choices in WTP. One thing I find kind of annoying is that when airlines give extra ‘choice’ it can often result in even more disappointment. The reason being that most airlines that offer a choice of three mains in economy or premium economy still cater to exact numbers with no buffer unlike in Business or First class. I flew Virgin Atlantic in PE last month and they offer three choices. They give out a nice menu. I picked out the option I liked. Unavailable, So I went for my second option. Also unavailable. And I was offered the pasta. The nice F/A explained that they are only catered the exact number of hot meals as they have passengers and the ratios are done by ‘historical data’ and as I was sat on the last row and everyone else took a meal it was unfortunate. Sometimes it pays to not take it out on the crew and be polite and take it in your stride. A few minutes later the same F/A came back with an Upper Class menu and offered me a main course from there. Pre-order is the way forward if meal choice is important. I know BA offer this ex LHR but they still don’t from outstations despite it being launched from their gateway hub years ago. BA supposedly serves main courses from Club World in World Traveller Plus (which aren’t great to begin with) so I hope it won’t be a downgarde. At least starter and dessert look way better then the World traveller trays which were cluttered with disposable Tupperware save for the main course served on China. The single course second meal service looks great though. Are they doing anything to improve service within Europe? Connecting from a tolerable product to an awful one doesn’t do much for your brand. Great. Finally more airline related news which I can read anywhere else and less travel reporting. Keep up the good work. Are they gonna add a pack of peanuts with the cereal bar? BA Need to start training their premium cabin crew right before I consider flying them again. Last time I flew them I literally had to ask for everything from sugar for my tea, to a spoon to stir the sugar with. (I then got a table spoon in response) Food was literally thrown on my tray table. And I was lucky enough to be in First! Imagine the rest of the airplane. Reading things like this, I’m so happy I live in Asia and travel with airlines that great their customers as customers, regardless of travel class. You get decent meals, generally great service and decent seat sizes. Sadly they seem to have started to take lessons from the US and Europe recently, which isn’t a good thing imho. On my one and only flight in BA Premium Economy, I was served a salad with no salad dressing and the meal came with no salt and pepper packets. When I hit the call button and asked for salt and pepper packets I was told they have none. That is the rock bottom baseline from which BA is working on. I’m glad to see the BA is making some effort to climb out of the gutter they currently wallow in. But I still won’t risk flying them ever again. I flew BA Premium Economy on 777-200, both ways. I was not impressed and felt as though I wanted a considerable amount of money. Entertainment system was ok. Food ok. Seat……well let’s just say that while eating my meal the person in front of me was in my lap, so much so that I had to have them move their seat forward so I could hand my tray to the crew member when I was done. Definately not worth the money. 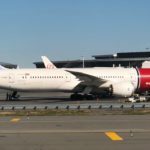 Yeah, on our trip just weeks’ ago my partner and I encountered both the “old school” Asian-based excellence in service AND the “let’s be copy the crappy USA airlines” situation you noted in your reader comments. Except the outcome surprized us with one airline that was much better than we thought it would be, with another that is a shadow of its former self and clearly is NOT the legendary airline that it was for many decades. Yeah, after waiting a lifetime to fly Cathay Pacific (albeit a short flight in Economy from Manila to Hong Kong), that airline’s flight ended up being a bit of a let down overall, with the “breakfast” served being some sort of very, very, very, bread-y pastry plus a thin layer, or “schmear” (as we say in NYC! ), of something attempting to pass for scrambled eggs and a paper thin slice of ham inside. Two domestic/inter-island flights taken on Philippines Airlines Express were pleasantly surprising, and exceeded my expectations for the onboard service despite one flight (the return) departing Tagbilaran (Bohol) more than an hour late, and then arriving 90 mins late after circling Manila for 20 mins. But the winner by far for best inflight service, again in Economy, was Taipei-based China Airlines! That airline’s service on the ground and in the air (for two short-haul segments, TPE-MNL and HKG-TPE, and two long haul flights JFK-TPE-JFK [these were in PE]) really impressed us, with meals, be they on the long haul flights, but especially our short-haul connecting flights in Economy class, easily being among the better meals and onboard service either of us (and my partner flies far more often than I do as his work includes quarterly trans-cons JFK-SFO-JFK, plus occasional trips to Shanghai to meet with production teams based there for the company he works at, along with other ad hoc trips to Europe, Florida and elsewhere) have had on any airline, domestic and foreign, and in any class (domestic USA/medium haul international business, PE, and standard Economy). We loved all four of our China Airlines flights! But, what really impressed us were the two short-haul flights between Taipei and Manila, where we were served one of our favorite inflight meals in a very long time (a delicious and satisfying breakfast consisting of a very generous portion of yummy pork chunks in sauce liberally spread over noodles, with green veggies [I think it was baby bok-choy from the pic], a carrot slice, a very tasty brown egg, fresh fruit wedges, and a dessert bar) as well as the even shorter flight from Hong Kong to Taipei, where we also were served one of the better inflight meals we’ve had on any airline in any class (except for meals served in long-haul 1st/Business class as neither of us has the bank accounts, or in my partner’s case, corporate travel approval, that allows for flights where the champagne flows freely and “celebrity chef driven”/curated meals would obviously and easily put to shame even those tasty China Airlines Economy class pork over noodles meals that to us were so good they instantly zoomed to the top of our “Best Inflight Meals” list! For me, this was the type of service quality and inflight experience I was looking forward to aboard the Cathay Pacific flight. Alas, that was not to be with Cathay Pacific’s best years clearly behind it and that airline now succumbing to the cancer of the sleazy and passenger hated, product degradation business models that are all the rage at our USA-based airlines, that’s now being “emulated” elsewhere. But, China Airlines sure did NOT disappoint, and if anything, pleasantly surprised us with some of the best inflight service and meals, and ground/airport staff of ANY airline either of us has flown in a very, very, very long time! What about the checkin/airport experience? My understanding is WT+ entitles you to exactly the same checkin/airport experience as regular economy. I would at least like to stand in a shorter checkin line for the extra money. BA premium economy is the world’s best regular economy. In attempts to economize, I tried BA PE on my last TATL E/B. Not impressed. Don’t really care much about food as long as my bottom is happy. It wasn’t. Perhaps the new seats will be an improvement. Good improvements, althought still lacking compared to Virgin’s PE (ground, soft and hard product), but way much better compared to the horrible seat and service of the pseudo-PE offered by Air France. Hope BA continues the improvements especially the BoB service for intra Europe flights. This post is a nice coincidence because I have just booked a BA flight Dubai to London for the coming July. After completing my purchase in Economy class (known as World Traveller) I have been offered an upgrade in Premium Economy (World Traveller Plus) and I decided to take it. Then while searching infos on the class (the last one I experienced was in 2013 and was the old one) and guess what? Found out that the very same flight is operated by Air Belgium on behalf of BA. So while performing the booking the aircraft shown is B777-200. But on Flight Radar is Air Belgium A340. Now my question. Isn’t this deceptive information? I mean, maybe the product that I will experience its no less, but isn’t my right to know what I am purchasing? @Nicola: I think BA contracted Air Belgium to operate BA104 until march 31. After that it’ll be operated again by BA on the 777. Yet to fly the newly improved British airways premium economy service. Is the dining experience any better as we were not overly impressed last time we flew.